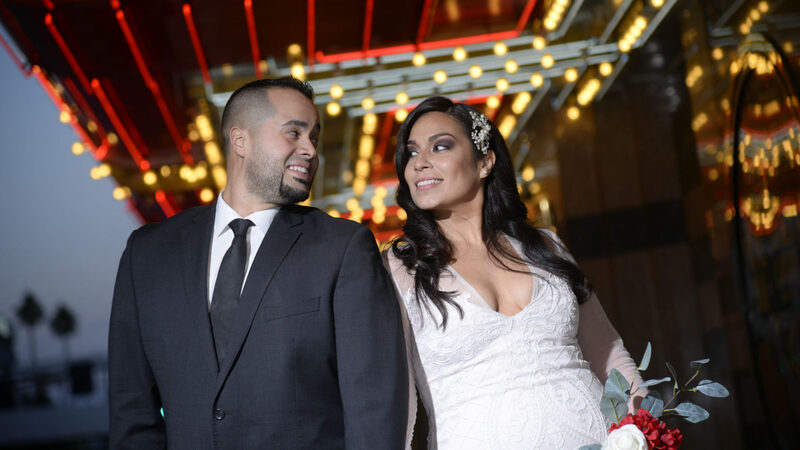 Getting married in Vegas? We specialize in wedding limousine photo tours. This is the perfect addition to your wedding day. We can pick you up after your wedding, at your wedding chapel or at your hotel, then take you on our signature wedding photo tour and drop you off at your hotel after the tour. You have your choice in some of the most romantic stops on the Vegas strip. Tour the Vegas as one of our professional photographers captures the moments with all the world famous hot spots. Ride down the Vegas strip and see the neon lights or take a stroll on Downtown Fremont Street for an “old Vegas” feel. Whatever you choose, we are here to make this unforgettable night. You can choose locations that you want to visit or you let our Photographers help you choose the best locations for your photo shoot. Need a bigger limo? Contact us for pricing on larger vehicles.